“Bermuda Triangle of Price Overcharging?” That’s how one store manager characterized navigating through a well-traveled, but consumer challenged, section of Westfield North County regional mall. Three of what inspectors called the top 10 overcharging outlets in San Diego County reside within plain sight of each other in a 50-yard stretch at the Escondido mall. A fourth store whose Oceanside branch is number one in the county for overcharging also hangs around nearby just in case consumers make it through the first three stops unscathed. A journey through the San Diego County database of overcharging retail institutions showed 25 violations at Escondido, 17 at San Marcos and three at Valley Center in the last two years. Escondido featured three of the top 10 overcharging retailers at the North County Fair Bermuda Triangle. A fourth member of the Top 10 was at San Marcos. Actually, several more locations at, or in the vicinity of the mall, also were guilty of county-cited price overcharges in the last two years. Otherwise, most overcharging outlets were at convenience stores, supermarkets, gas stations and random retail stores. More than 1,150 stores in San Diego County have been fined between $100 to $1,000 since 2009, according to county officials. State law requires stores to be inspected about every three years. Inspectors from the San Diego County Department of Agriculture, Weights and Measures ensure consumers are charged the posted price. Secret shoppers from the county visit stores. Inspectors also make announced visits. 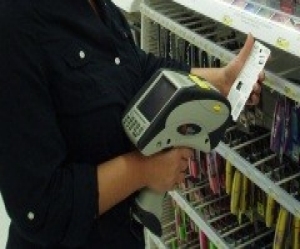 The department conducts roughly 50,000 inspections each year to make sure that all devices that scan, weigh or measure the items people buy are charging consumers accurately. Especially egregious violators have been taken to court and paid significant fines over the practice. Target, which operates 19 San Diego County stores, paid nearly $4 million in fines for overcharging in February. A San Diego Superior Court judge in August ordered Napa Auto Parts pay $338,000 for overcharging. Walmart never admitted any guilt but paid more than $1.4 million in a 2011 settlement. Walmart also agreed to pay an additional $3 per overcharged item in the future while selling the item at the displayed price. If the item were less than $3, customers should get one such item for free. 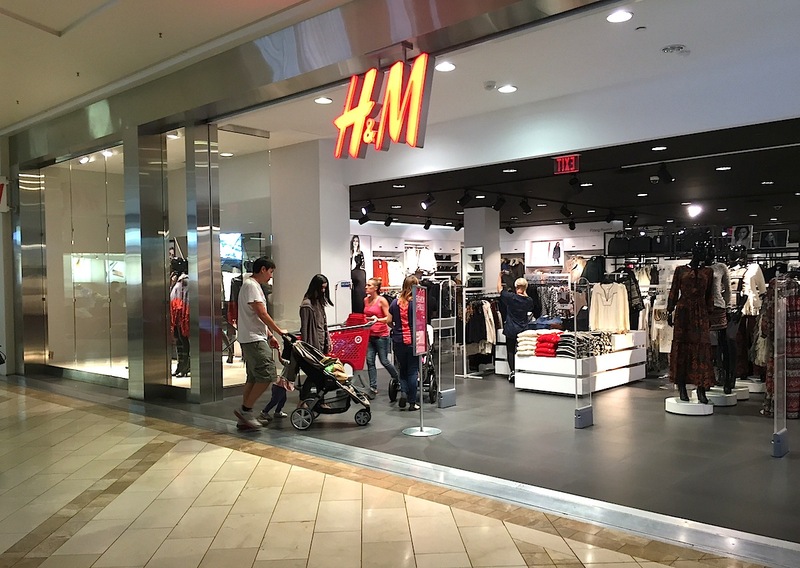 Beware of price overcharging all who enter here, H&M, #2 on San Diego County’s Top 10 overcharging list. #2 H&M. More than 14.4 percent of 216 items purchased by inspectors from 2012 to 2014. More than half of inspected locations overcharged on at lest one item. The location at 200 E. Via Rancho Parkway at North County Fair overcharged six out of seven items. 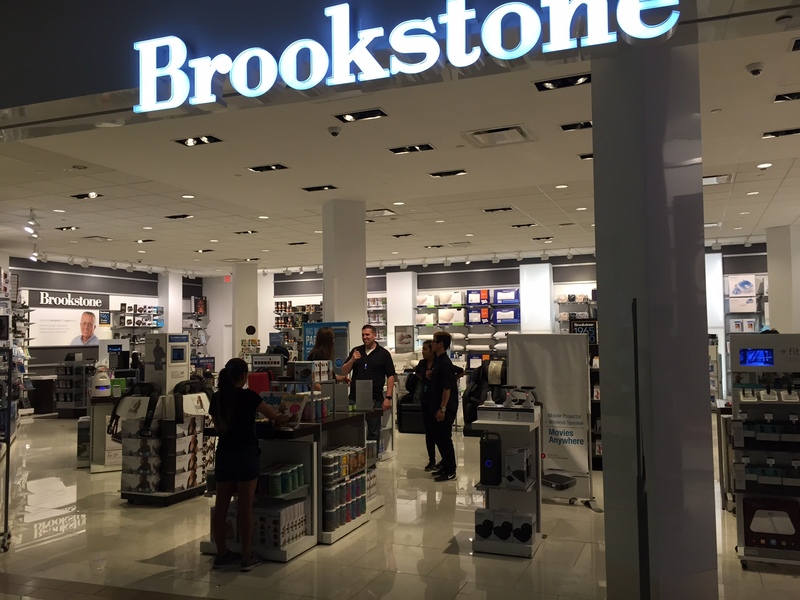 #4 Brookstone overcharged on 10.6 percent of the 47 items purchased by county inspectors from 2012 to 2014. The branch with the most overcharged items was at 272 E. Via Rancho Parkway at North County Fair. 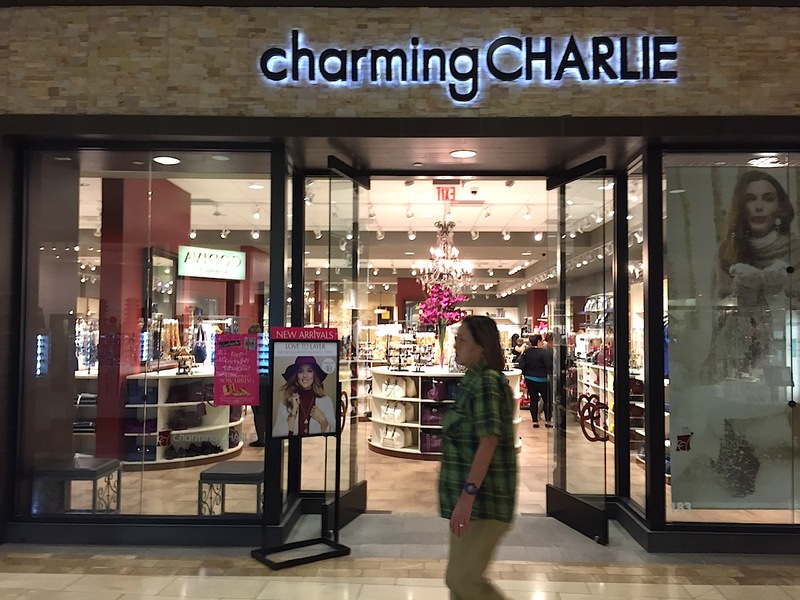 #8 Charming Charlie overcharged on 7.4 percent of the 135 items purchased by county inspectors from 2012 to 2014. The majority of overcharged occurred at the 200 E. Via Rancho Parkway, Escondido (North County Fair). #1 Sears, 15.7 pct. of 197 items from 2012 to 2014. 19 of 31 occurred at Sears Outlet at 2505-B Vista Way, Oceanside. #10 Family Dollar Store; 7.3 pct. on 55 items purchased by county inspectors from 2012 to 2014. Majority of overcharged occurred at 1230 E. Mission Road, San Marcos. Brookstone, #4 on the county price overcharging list. Store manager Brian, declined to give his last name, said with a laugh that this area of the mall was the ‘Bermuda Triangle of Price Overcharging.” He said county inspectors had stopped by a year ago and found price discrepancies on smaller items near the cash register, adding the store was very consumer friendly and would make any bad price right. These are the stores cited by county inspectors since 2012. The bold line below gives the key to looking through the database. 739,006-PVN-SD-15/16,ARCO am/pm #83204,761 N. Broadway,Escondido,92025,2015-07-16,””, 100,2015-06-29,33.12999167859256,-117.08560804426027. 695,205-PVN-SD-14/15,Shell – San Marcos,800 S. Rancho Santa Fe Ave.,San Marcos 92078,2015-04-08,2015-04-06,100,2015-02-24. 197,061-PVN-SD-13/14,Grangetto’s Farm & Garden Supply Co.,29219 Juba Road,Valley Center, 92082,2013-10-09,2013-10-21,100,2013-09-05,33.229280836193077,-117.02367906515408. Charming Charlie wasn’t so charming at Westfield North County where it ranked #8 on the county overcharging list with a 7.4 percent overcharge rate. Attention Consumers Notice must be posted at every POS station. Atención Consumidores Aviso debe ser colocado en cada estación de Punto de Venta. Failed Inspection Notice must be posted when provided. Passed Inspection Notice may be voluntarily posted at entrances. Check those prices, many are wrong. Location in the store, such as, regular aisle, end cap, special table display, at entrance, etc. Include your name and telephone number, or name and e-mail address, to allow us to contact you with the results of our investigation. This information is kept confidential from the store location.